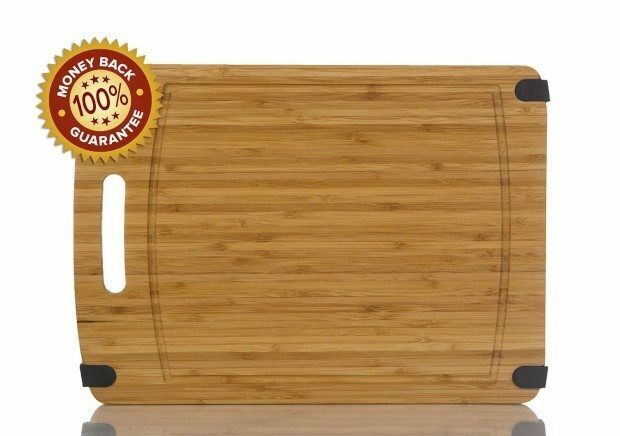 Heavy-Duty Thick 16 X 12 Non Slip Bamboo Cutting Board Only $14.94! Down From $30! You are here: Home / Great Deals / Amazon Deals / Heavy-Duty Thick 16 X 12 Non Slip Bamboo Cutting Board Only $14.94! Down From $30! Just in time for Thanksgiving! Head over to Amazon to get the Heavy-Duty Thick 16 X 12 Non Slip Bamboo Cutting Board Only $14.94! Down From $30! It will ship for FREE on orders of $35+ or if you are a Prime member!